Posted by Sam Smith on Sunday, September 11th, 2011 at 12:55pm. If you are in the market to buy a golf course view condo in Newport Beach then you have a couple communities to choose from. One of the best values for the money are the condos located at the Big Canyon McLain in Newport Beach, California. As we have reported in earlier posts, the Big Canyon area in one of the most desirable gated communities in Newport Beach. 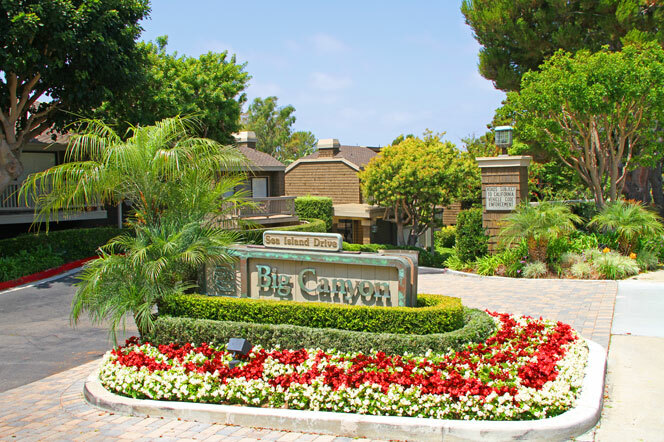 Located across the street from Fashion Island Shopping center in the heart of Newport Beach lies the Big Canyon communities. Within Big Canyon you will find several luxury communities with homes sales well into the multi-million dollar range. The homes have the benefit of the Big Canyon Country Club with one of the best golf courses in the area. The Big Canyon McLain community is a small pocket of condos on the outskirt of the Big Canyon area that backs to the Big Canyon Golf Course. If you find the right facing location in Big Canyon McLain you will find a condo with spectacular golf course views with condo prices typically $500,00 to $900,000 range. A good example of this is a new golf course view condo that just came on the market that offers golf course views with two bedrooms and listed for sale for $729,000. The community features an association pool, spa and tennis courts with a moderate homeowners association dues. We encourage you to view the condos at Big Canyon McLain, especially if love to view the natural settings of the Big Canyon landscape.